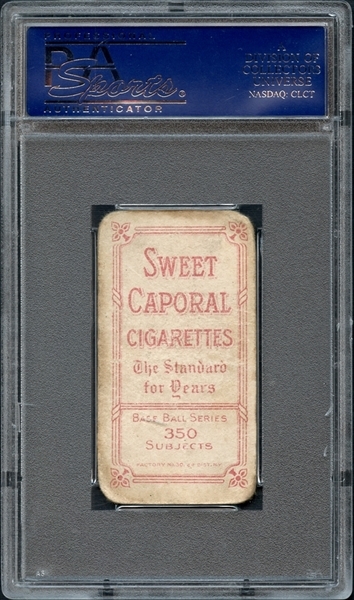 Presented is a PSA 1 graded example of one of the most famous and scarce baseball cards ever produced: a Sweet Caporal T206 Eddie Plank card with the difficult 350 series reverse. 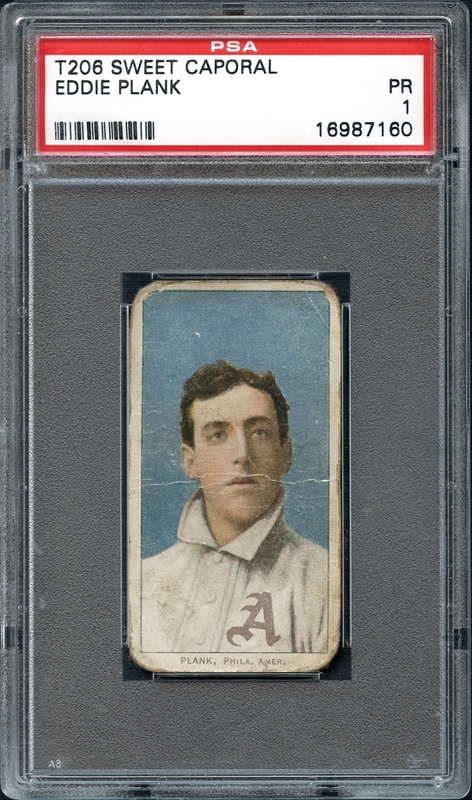 While the iconic Honus Wagner card dominates the headlines of the T206 series, the Plank card really isn't far behind in known quantity, thought to have a total population of around 100 compared to approximately 60 for the Wagner. 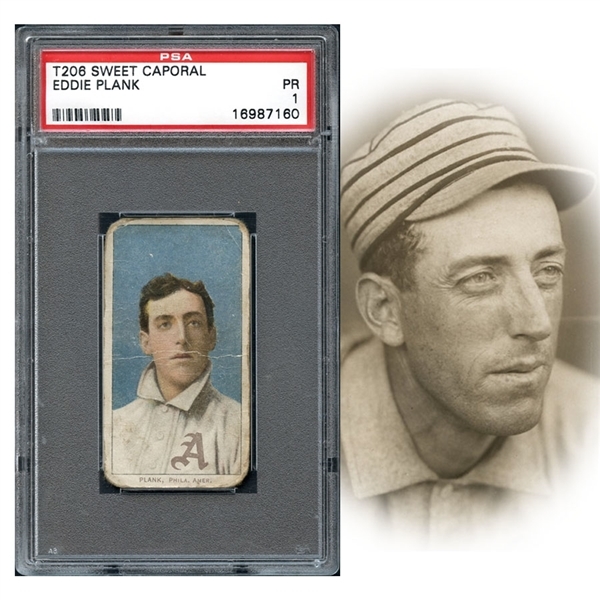 With such a minor disparity in the number of known specimens, the value of the Plank card should really be a lot closer to that of the Wagner at comparable grade. Like the Wagner card, there's plenty of speculation as to why the Plank card is so rare; one theory holds that the printing plate for the Plank card was broken in early production though the most accepted explanation is that Plank, like Wagner, had the card pulled from production because he did not want his name used to endorse tobacco products, though he does appear in the T204 Ramly and T5 Pinkerton tobacco card sets. While the PSA grade is appropriate given the wear around the perimeter and horizontal creasing that runs through the center, all of the blemishes are transcended by the sheer majesty that the card offers with the image of the famed Hall of Famer and strong blue background bordering on the surreal. If you've always wanted to a obtain a copy of one of the most coveted baseball cards ever produced, this example has plenty of appeal and is about as attainable as a T206 Plank can get.